It is easy to understand that the operating conditions for equipment used at a nuclear power plant (NPP) per se and the operations involved in the nuclear fuel cycle are not the same. The connectors used inside a nuclear reactor are only disconnected and reconnected during maintenance outages and must ensure tight connections over periods of 40 to 60 years. Connectors used in the fuel cycle, however, are frequently disconnected and reconnected and the harsh environmental conditions mean that they must be robust and easy to handle. The three K1, K2, and K3 qualification levels that are specific to NPP environments make it possible to meet the safety requirements in various areas of use. Over the years, SOURIAU’s 8NA K1-qualified screw-lock connectors have been modified to meet the requirements of European Pressurized Reactors (EPR) and now feature shells and receptacles fitted with stainless steel electromagnetic shields. 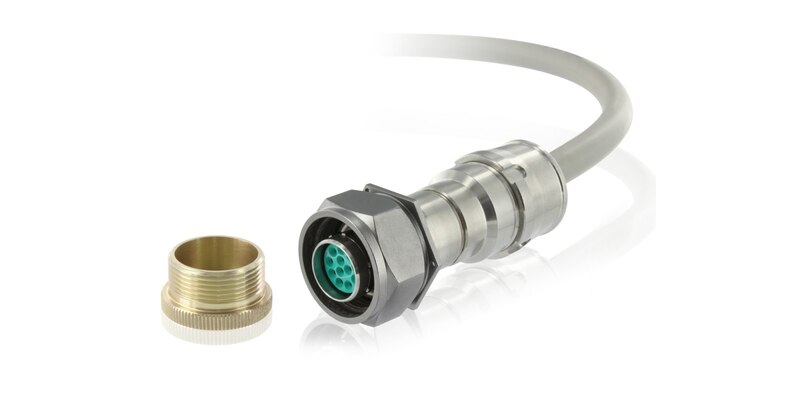 These connectors come in two shell sizes and accommodate 16 and 20-gauge contacts in pin layouts of 3 to 24 contacts. The arrangement most commonly used for connecting sensors and instrumentation inside NPPs consists of twelve 20-gauge contacts. The 8NA series is RCC-E K1 qualified, meaning that it has passed a series of tests, the most important of which include simulation of the lifespan of a NPP (40 years), radiation resistance, simulation of an earthquake and accident, vibration 1 / 2 resistance, and resistance to very high pressures. These severe tests are conducted by an independent laboratory over a one-year period and are then validated by experts at EDF (France’s electricity supplier). SOURIAU’s Paris-Est site in Marolles-en-Brie occupies a special position in the company’s industrial operations. It is here where products that meet specific markets such as the nuclear industry are designed and manufactured. The engineers at the Paris-Est site work in close collaboration with research institutes and key buyers. The manufacturing processes are rigorous and highly codified. For example, on operator assigned with producing a batch of connectors makes an oral commitment via a process that summarizes the various inspections required during the manufacturing process.